EazyStock teams up with a range of resellers, ERP system providers and e-commerce platforms worldwide. Our solution partners sell EazyStock and provide knowledge about system integrations and inventory management best practices. Factum is a boutique consultancy with global expertise, helping clients within and outside of the warehouse, from inventory management to strategic planning. Factum works with marketers, retailers, and 3PL firms to select the most appropriate solutions and improve operational efficiency. Caplee Consulting LLC is a consulting firm specialising in small and mid-sized wholesalers and distributors. Caplee Consulting assists its clients in reducing inventory, improving their cash flow, and improving operational efficiency. They specialise in Epcior Prophet21. CBIZ is a VAR, providing advisory and implementation services to organisations of all sizes across a variety of industries. Based in the US, CBIZ specialises in ERPs including Microsoft Dynamics 365, Microsoft Dynamics GP, and Acumatica. Cybercore delivers mission critical solutions that make a difference, by starting with their clients’ needs, collaborating closely and then creating a solution that works best for them. Their advanced methodology safeguards their clients’ supply chain processes. I-Tech helps clients achieve their goals faster by providing the innovation and expertise to align technology with corporate objectives. Their world-class approach to business technology helps clients be confident that their technology is proactively supporting the growth, competitiveness and security of their organisation. I-tech specialises in Acumatica ERP. Mindover Software offers solutions for growth-oriented companies. They implement and support a variety of integrated software including ERP, CRM, document management, reporting, manufacturing and more. Mindover represents Acumatica, Sage 100, Sage 300, Sage CRM, Sage HRMS, Sage FAS and and more. PC Bennett Solutions is specialising in the implementation of business software solutions for mid-sized and large businesses. PC Bennett Solutions provides the complete range of skill-sets to help companies evaluate, implement, configure, customise, and support their business software solution. Cube Corner delivers consulting services and development resources for advanced business websites, Jeeves and Microsoft ERPs. They have extensive experience in logistics, transport systems and solutions for integrating ERP and transport vendors for fast and accurate management. EA System is a Visma ERP specialist. Their consultants have more than 100 years of experience combined and therefore make sure that their customers needs are always put first. With the vision to create long term business relationships, they help their customers grow by developing their systems. Swedish Visma partner with multi-ERP competency, and the fastest growing EazyStock reseller in the Nordics. They have a strong focus on a complete supply-chain offering and care about the customer experience. Orango is a Swedish reseller of Microsoft Dynamics NAV & Dynamics Business Central. EazyStock & Orango have developed an offer for small companies with Dynamics NAV & EazyStock GO. However, Orango sells and implements all versions of EazyStock to both small and mid-sized businesses in multiple industries. Zedcom helps customer streamline operations to get better control and profitability. Their solutions enable digitalization, custom adapted products and automation of workflows. ERPs are at the core of Zedcom’s business and together with EazyStock they are able to deliver something beyond the usual. SucceedIt is an experienced and committed EazyStock Platinum partner with a constantly growing customer portfolio. They have multi-erp platform competencies and special expertise in Microsoft Dynamics NAV implementations. Tanzania-based Mkenga Group is focused on bringing the best of breed cloud solutions to its customers. Through its BiasharaWorks subsidiary, Mkenga implements cloud ERP solutions targeting medium and large enterprises in Sub-Saharan Africa. 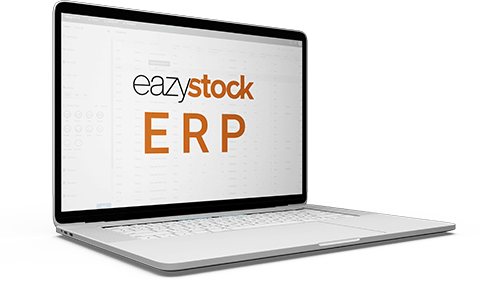 EazyStock integrates easily with any ERP or e-commerce system. At the same time, we can also offer ready-made integrations on the platforms below, offering fast on-boarding and system set-up, and cost effectiveness for the customer. Visma is leading in cloud software and provides ERP systems for entry-level, medium-sized and large businesses. EazyStock is an ISV partner to Visma with ready-made connectors to Visma.net and Visma Business. EazyStock is an ISV partner to Microsoft and we provide integrations with ERPs like Dynamics NAV, Business Central, AX and GP, with a ready-made connector to MS Dynamics NAV. Jeeves is a provider of cloud based ERP systems to small and mid-sized companies. Jeeves is both an ERP and Solution partner to EazyStock, with a ready-made connector that makes integrating with the ERP even faster. Acumatica ERP delivers adaptable cloud and mobile technology with a unique all-inclusive user licensing model, enabling a complete, real time view of a business anytime, anywhere. EazyStock is an ISV partner to Acumatica, with a ready-made connector to the ERP.